Just the mere mention of beach makes our kids extremely joyful. Both K and G have close affinity to beaches, swimming pools and waterparks. 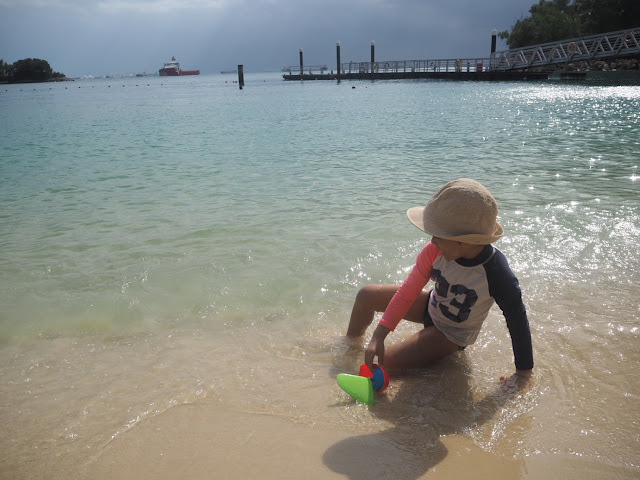 Bring them anywhere that enables them to have a good splashing time and they can turn into the happiest kids on earth. On Saturday night, G kept asking what time are we going to the beach the next morning. When I told him we have to wake up at 7am, he protested, "That's too long (he meant too late) mom, I want 5am!" Hahaha! Thankfully, it was a beautiful sunny day on Sunday. 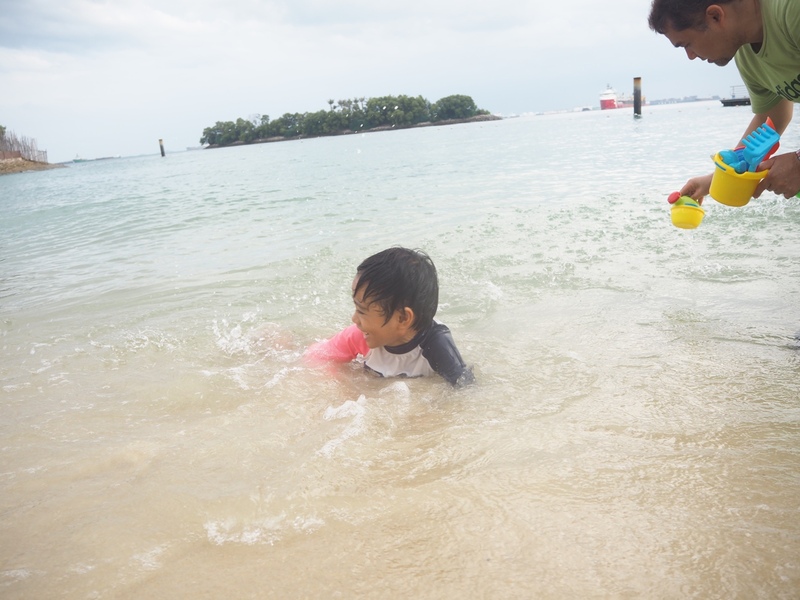 We live near East Coast Beach but because our Sentosa Islander cards are expiring soon, we decided to go to Sentosa Island instead to give the kids their much needed vitamin sea and D. Our usual hang out at Sentosa is Palawan Beach but for a change, hubby brought us to Siloso Beach instead. Surprisingly, the crowd is less. 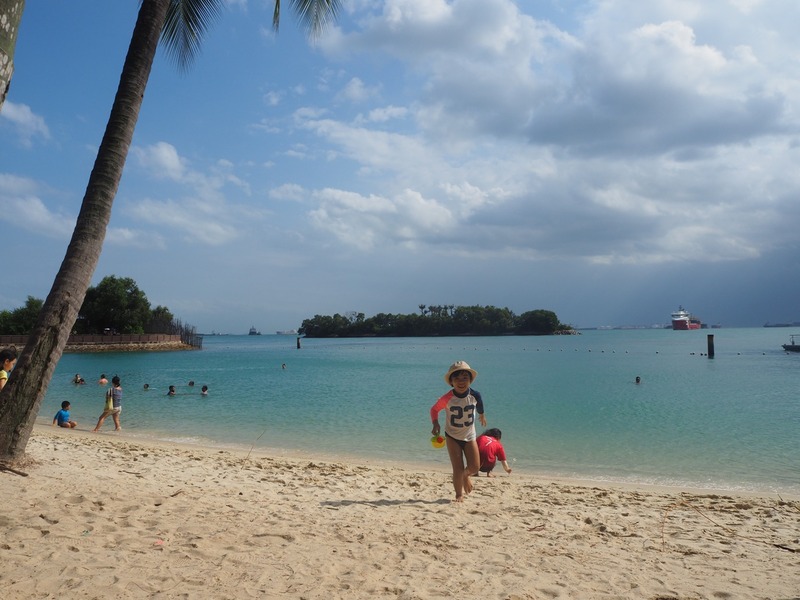 In most of the photos below, it looks like we have the beach all to ourselves. What a treat! All photos were taken with Olympus OMD E-M10 Mark II which is a review unit the kind folks of Vibes Communications sent me. love the pictures you captured, this would be an additional to the memories album you have i presume. i love olympus camera. I will definitely add it to our beach album. I love Olympus too! What a beautiful beach! Even though it's freezing here, I am a bit warmed up looking at your photos. Great to hear that! Stay warm, Rose. Who wouldn't love a day at the beach! 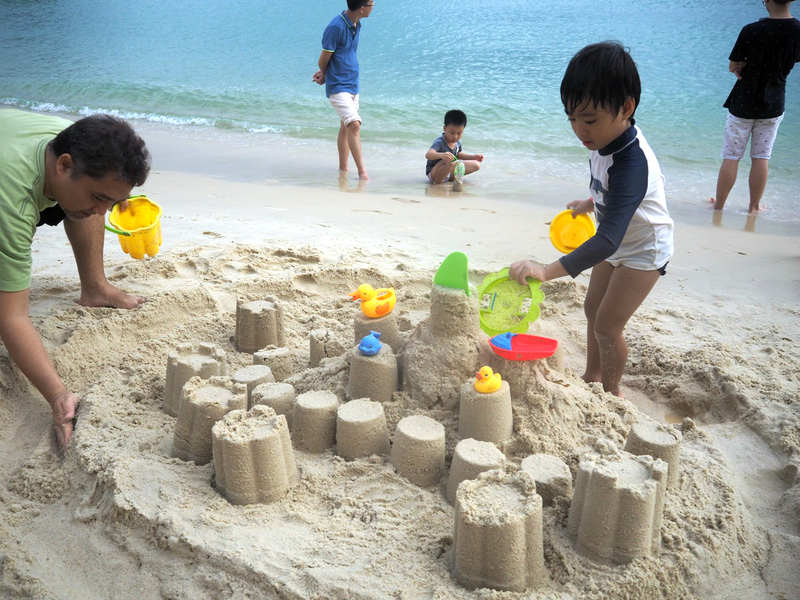 Looks like you all had fun swimming and building sand castles. I really love the idea of having a reliable camera to capture moments like that! Awww! 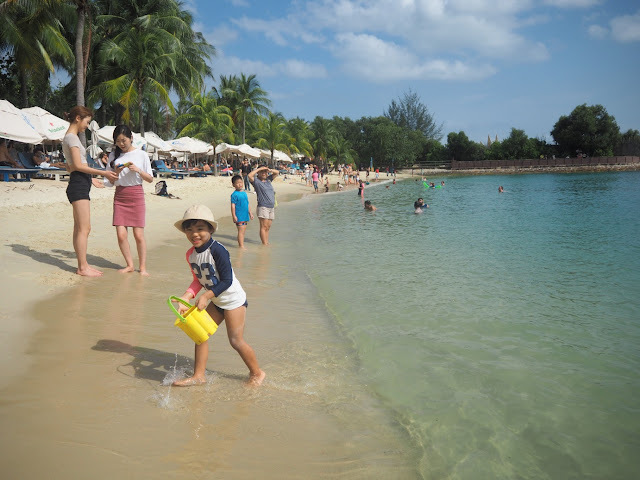 The little guy is really had a blast playing the waves and the sand castle. I cannot wait for summer too. He did! Hope summer arrives in your part of the world soon. Looks like everyone had fun! I miss the beach! Thanks, Jam. Unfortunately, it's not. We can almost feel the summer heat here in Manila. My son is excited to play in the sand. I hope our summer plans push through. Thanks for sharing your photos! 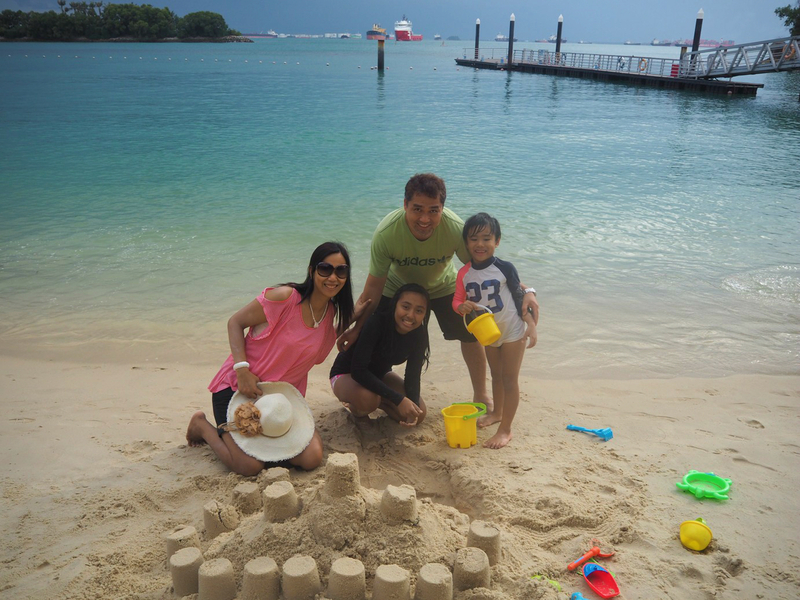 Beach time is always a fun time with family. I'm so looking forward to our time in the beach this summer.